At Fabuwood, we truly believe you can save both time and money by enlisting someone who has professional experience. An expert will ensure that visual considerations blend with the structural necessities of your project, and that the space is both practical and attractive. While architects, contractors and designers all focus on home renovations, there remain some skills that require the hiring of one over the others. We know that choosing the right person to guide you through a renovation or new build can be extremely daunting. Luckily, we’re here to help. The biggest difference between an architect and a designer is their respective qualifications. An architect must complete an architecture degree and pass an examination test by the Architectural Registration Board. They are trained in design theory, engineering and project management. So, if you’re hiring an architect it would be wise to double check that they are formally registered. This means they are qualified, experienced and insured. 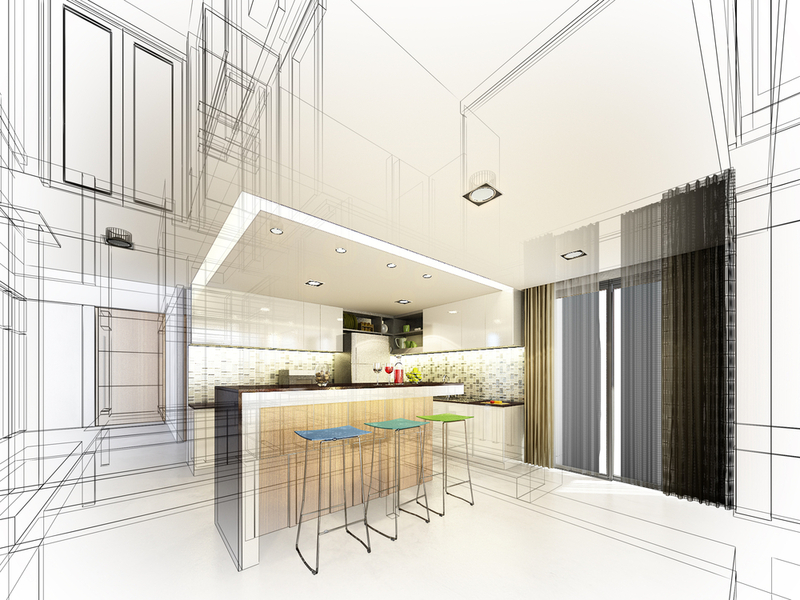 On a remodel project architects are most helpful when making large structural changes to an existing kitchen layout that requires engineering. Many local building codes require a licensed architect for structural changes. Often enough, architects also double as designers or have designers on staff so that they can handle the aesthetics of a project, as well as the plans and drawings required for obtaining permits. When contemplating a dramatic change to your kitchen, it is wise to consult an architect. If you’re working within a budget you always have the option of hiring an architect to draw up plans and forgo their expertise in project management. With larger budgets you can hire an architect to manage the complete project, which includes selecting and checking in on the contractor from time to time. Just remember, an architect is generally the most expensive choice and may not always be your best option. Not all home remodeling projects require the help of an architect. Skilled interior designers are professionally trained in space planning and work to incorporate both beauty and functionality. Their abilities go way beyond aesthetics, as they can create floor plans, elevations and perspectives you’ll need. If you are simply replacing your kitchen and making minor structural changes, we believe that an interior designer is your best option. Interior designers help with the selection of equipment and finishes, too. They are all about making a kitchen work efficiently and comfortably, all while accentuating appeal, storage and function. Like architects, designers can provide the necessary documents to obtain a permit and draw up plans that are required for your contractor. Typically, a designer is less expensive than an architect, but it really depends on the firm or professional you select. The architect or designer is ultimately responsible for envisioning your new kitchen. They work through the design to anticipate problems, and develop solutions that help avoid the need to make costly changes during or after construction. A designer or architect will also help avoid code violations. Generally, contractors oversee entire projects and make sure that everything is carried out according to plan. They provide the carpenter, plumber and all other customary workers for you. Contractors also tend to have relationships with local authorities and are required to obtain permits. 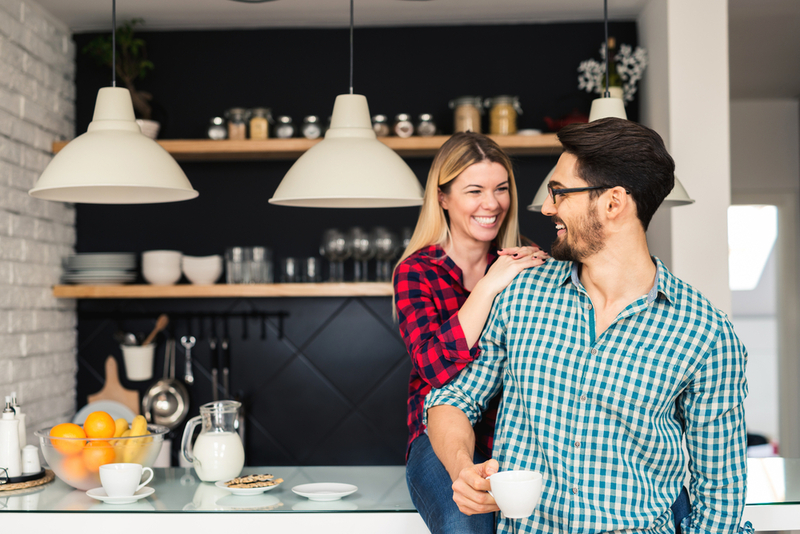 Many contractors have a designer or architect who they partner with, or they might even have the capabilities to design the kitchen on their own. In other cases, the architect or designer you work with can usually recommend a suitable contractor for the project. Though designers and builders often work closely together, the nature of what they do is actually very different. Architects and designers specialize in conceiving suitable arrangements, while builders are concerned with the physical work of assembly. If you have the budget and your remodel project absolutely needs an architect, an interior designer and a contractor - a design/build firm will combine the services into one contract. Such firms have contractors, designers and architects that work with homeowners throughout the entire renovation. These firms not only streamline remodel projects, but save you the headache of shopping for multiple professionals. 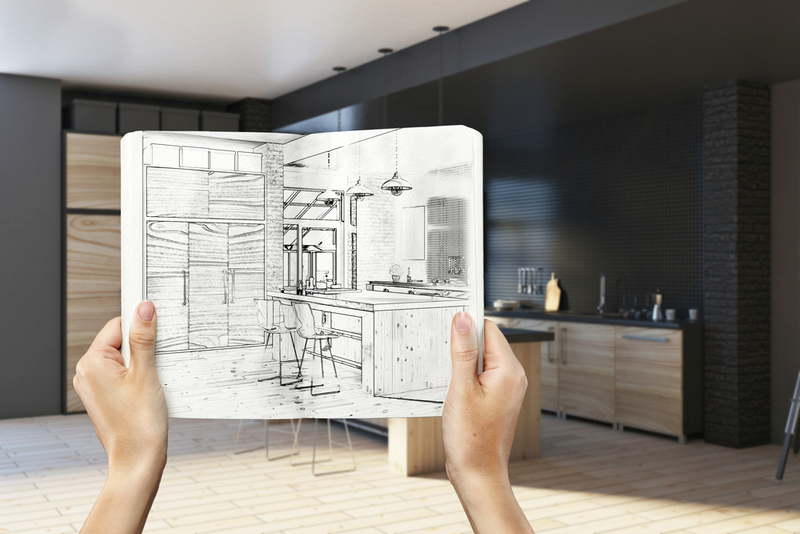 So, for large remodels or rebuilds we suggest hiring an architect to draw up the plans of the new structure, an interior designer to help ensure the new structure will be beautiful and functional and a contractor to physically bring the design to life. Again, it is important for us to stress that any professional you hire will ultimately save you time, stress and money. After all, they are responsible for finding the ideal vendors, being available to accept deliveries and scheduling all the day to day workers. They ensure that daily checklists are complete, while helping you avoid expensive mistakes. 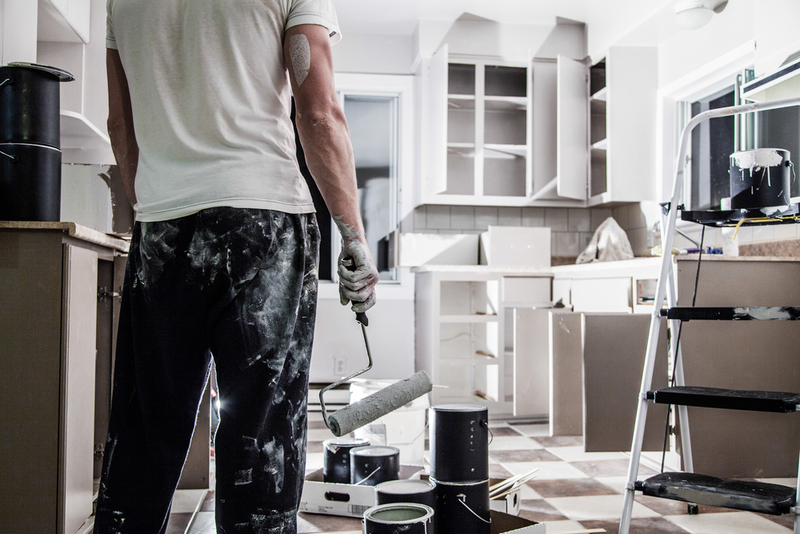 Renovation professionals also aid with sorting through your ideas and goals to advise you to make informed decisions. If you’re not giving up on doing things yourself, there are definitely some parts that are easier than others. If you are not a certified general contractor, there are still tasks you can do that will help reduce your construction costs. Most DIY-ers can take on tear out, demolition, painting and clean up. You’ll definitely want to hire a plumber, carpenter and cabinet installer to help with the bigger structures. We really would not suggest taking on the other components. It may be hard to believe, but hiring a professional for the larger more complex details will actually save you money in the long run. Successful spaces are the result of good planning. Now that you have some basic information about the different professionals you can hire, you’ll need to do some research to find the best fit for your project. It’s always best to speak to people in your network and look into professionals who have already worked with people you know. The National Kitchen & Bath Association (NKBA) is the best certifying agency for kitchen designers. Make sure to reach out to the NKBA for a list of certified designers in your location. Once you’ve narrowed down your search, it’s always a good idea to look at their professional portfolios. It is important that you feel comfortable and can trust the individual you are going to hire. It is also extremely helpful to read through design books and websites. Browse through industry magazines, as they provide both aesthetic inspiration and technical information. Look for tips on design and read reviews written by other consumers. You can even go to showrooms to gather ideas and speak with those with experience in the industry. Before starting with a professional, it's beneficial to play around with the Fabuwood Kitchen visualizer so that you know which elements work well together. It will also give you a good idea of the design scheme you’re trying to obtain. Don't rule out the design services provided by cabinet and appliance retailers. If you’re only looking for minimal services and not trying to make and structural or layout changes, a cabinet retailer may be all you need. Many retailers hire certified designers who are well qualified to assist you. This is also the best way to stay within budget and work with experienced professionals in the kitchen industry. At Fabuwood, we work with many cabinetry showrooms that offer these type of services. Locate your nearest Fabuwood dealer today!